I think the class was a huge success! 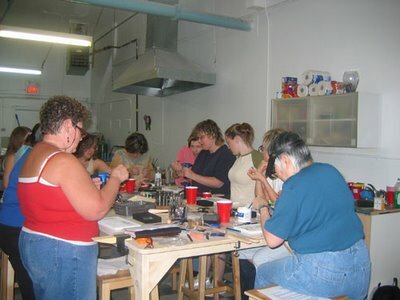 The students were busy creating their own end caps, toggle clasps, twisted earwires, and more. 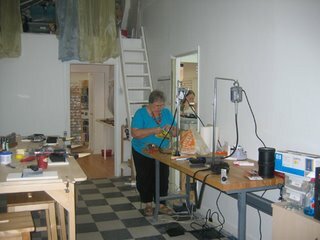 We’ll have to ask Marg, Erin, and Janice to take pics of some of their creations to post.